"Knowledge without work is dangerous"
I've run an SEO company for quite a while and through the years I have finally reached the conclusion that SEO is done for most small businesses. 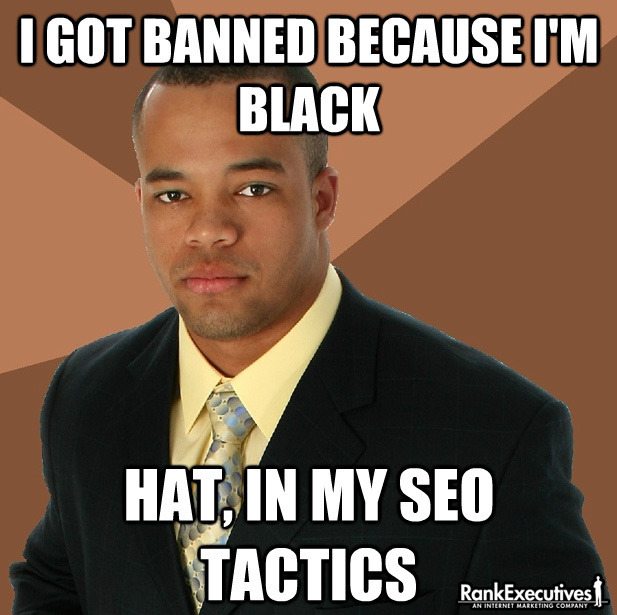 Okay, so back in the day SEO was all the talk you would hear about online. Free traffic! Lot's of traffic! Get top rankings and make tons of money! SEO began to gain traction in early 2000 and ever since it has continued to grow, until about now. SEO has pretty much reached its peak. Like any other market there can become a point where it is over-saturated and everyone is doing it -- also called a bubble. SEO is there. Ask most small businesses about SEO. They've heard about it and they receive emails and phone calls every week form people offering it to them. Everyone knows about SEO and every company is an SEO expert. That's pretty much where we're at right now. Allow me to shed some light on some of the changing aspects of the industry. SEO is about hope for most people; building equity; building for the long term; getting a better ROI than straight advertising; a magic bullet; a secret; outsmarting everyone else. For most people SEO is a fantasy that they have in their mind as the most cost effective form of marketing, online or offline. The free aspect of SEO lures people in and greed and emotion takes over. Comparing full ROI of SEO to other forms of advertising is never really taken into account. And even when it is SEO usually gets a free pass because you can never really know what will happen in the future with SEO and you always assume that it will be better than the past. People always assume that by putting money into SEO they aren't throwing it away. People assume that putting money into SEO is putting money into an asset. And sometimes it is; often times it is not. Businessmen know that you usually make money doing things that other people aren't doing. When nobody was doing SEO it was awesome because there was no real competition. Now that everyone is doing SEO there is lots of competition. The market is completely saturated. And more competition in business makes it more expensive to compete. It used to take a few hundred dollars to rank for relatively easy local terms. Now it takes thousands and possibly tens of thousands of dollars. SEO takes a lot more resources and strategy than it used to. For starters, ads and local listings are taking over more space of the results. Gone are the days of 10 blue organic links. For almost all searches worth any money you will find either ads, local listings, some other snippet or all of the above. Often times there are no organic links above the fold. There is just that much less organic traffic to go around. Sure there is organic traffic, but for keywords that actually make money there is less and less to go around. It is diluted between all the other stuff search engines now show. Content, and a strong content strategy is the most important part to long term, solid rankings. And most small businesses refuse to acknowledge this and especially refuse to allocate money towards it. Rather than spending $1,000 on some spammy links, some thin "original" "content", and few title text changes here and there companies would be waaaaay better off spending $1,000 on an in-depth, useful piece of content that provides real value to the user that people will share with their friends. It doesn't matter whether it is a video, an image, a chart, an article or something else. All that matters is that whatever that piece of content is, that it is really good and that people will have no choice but to share it with their friends. That is SEO these days, and people still don't get it. People think that SEO is like that Ronco rotisserie cooker, "set it and forget it". But it doesn't work like that. Just because you got a link today doesn't mean you won't lose it tomorrow. Links come and go. Competition comes and goes. New content comes and goes. There are always new trends flowing with the Internet and if you become complacent you will see a decline in your rankings and traffic. SEO requires constant maintenance and effort. So there's no such thing as building up your site through SEO and then just sitting back and watching the cash flow in. You have to keep building or all your work will slowly diminish. Rankings don't mean anything anymore. With personalized, localized and all the other types of customized search results going on there isn't much value with tracking or paying attention to rankings. What matters is traffic. And what matters more than traffic is actually making money. People get too focused on rankings and lose sight of what really matters: cold, hard cash. The purpose of SEO is to make money, but since SEO takes a long time and since most people have no real way of measuring SEO they lose sight of this goal. SEO slowly becomes a cash hog that people throw money at in hopes of achieving something big at some point. But this rarely happens and in most cases they end up throwing their money into a blackhole. 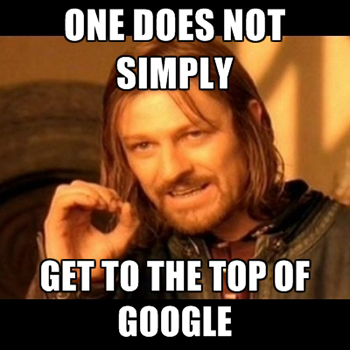 And once people do get some traffic from SEO, they take it for granted. They don't focus on actual conversions. They don't focus on building relationships with their visitors. They take everything for granted and make the least amount of money possible from their visitors. Afraid to possibly lose organic traffic, people become afraid to make changes and test new things. Afraid to lose organic traffic, people get afraid to change their content or wording to increase sales. SEO starts to work against you and you focus more on increasing traffic and less on increasing conversions. If I had $2,000 for a small business how would I allocate it? SEO is a later marketing stage -- a supplemental approach. SEO shouldn't be your primary focus towards Internet Marketing. Your primary focus should be a content strategy which provides value to your audience. You should be building and nurturing relationships with your audience. That's the real focus. After all, SEO is the byproduct of doing business right. Doing only SEO as a back door approach to building a business is pretty dumb, especially if you know very little about SEO. You are much better off NOT focusing on SEO at all and instead focusing on your brand and your audience. Beat them with quality and value, not SEO. That is the new SEO. You have some amazing SEO- every time I try to look into MBTI functions I get your Ns are smarter than Ss article. I hate that article- I was trying to look up the function stack of ESTJs and somehow you end up there again... the freaking top article. Today, SEO plays most important role. Before I write let me tell you what does SEO means. SEO mean Search Engine Optimization which includes process of increasing the website ranking in search engines. This process is time consuming and contains lot of factors. Today there several SEO experts and they follow the guidelines of search engine and help their guide they boost the ranking of website in search engine. ON Page: On Page is down while creating of website and some points are taken care before creating website like title tag, Heading tag, CSS Styles etc. Off page: Off Page is normally done after creation of website where link building plays an important role. I think some time your right, but according to me small business owner wants to know how to use & what is the advantage of SEO, defentaity they will do SEO. without promotion don't want to survive in business culture. Video makes way more sense than trying to rank text. There is a lot smaller supply of good video than of good content.